Under Construction-One of a kind Custom built Executive Ranch features 2 levels of living space approximately 3300sq/ft with many possibilities.This home features 3 beds 3 baths first floor laundry, open floor plan, 10 ft cathedral and tray ceilings with hardwood flooring throughout. 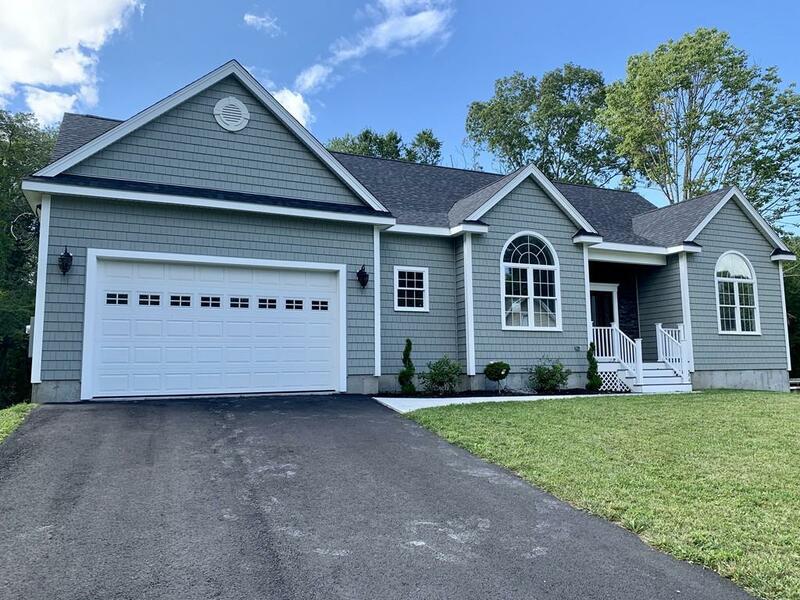 This quality built home has all the upgrades including finished landscaping, stainless steel appliances, gorgeous finishes and more.The grand master suite features a tiled shower with glass door, dual sinks, tray ceiling and dual custom closets. The main living area will be great for entertaining with open floor plan, stacked stone fireplace, well-appointed kitchen, formal dining room and great breakfast bar with French doors leading to the deck. The walkout basement offers a huge recreation room with a full bath and slider leading out to a nice concrete patio and private back yard.This home is situated in a quiet location on a private lane surrounded by wildlife, horses and farms.